The John Terry/Luis Suarez incidents have recently been overtaken by Sepp Blatter’s predictably idiotic attempts to wade into the debate. His much slated attempts to subdue outcry over the re-emergence of racism in European football have been repeated enough, but if you don’t know what he said, here it is. His comments have since been called “appalling” by David Beckham and a livid Rio Ferdinand has nailed Blatter on Twitter. I’m sure Poyet and Suarez spend their free time subjecting each other to mild racial abuse and throwing back their heads in raucous laughter. 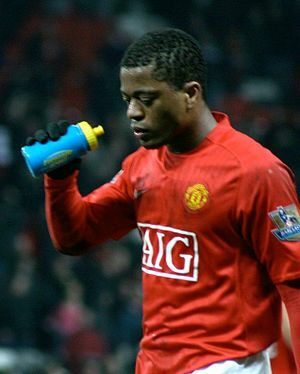 Patrice Evra does not strike me as a “baby” and England’s tolerance levels of racism are far lower than Spain’s – thank god for that. It’s right that Suarez has finally been charged – as it is right that John Terry is also likely to be charged by the Metropolitan Police. If investigations are inconclusive, so be it. But the right of players like Anton Ferdinand and Patrice Evra to press charges, whether to the FA or the Police, has to stand. It’s time managers and players who should know better shut up and get on with their day jobs.